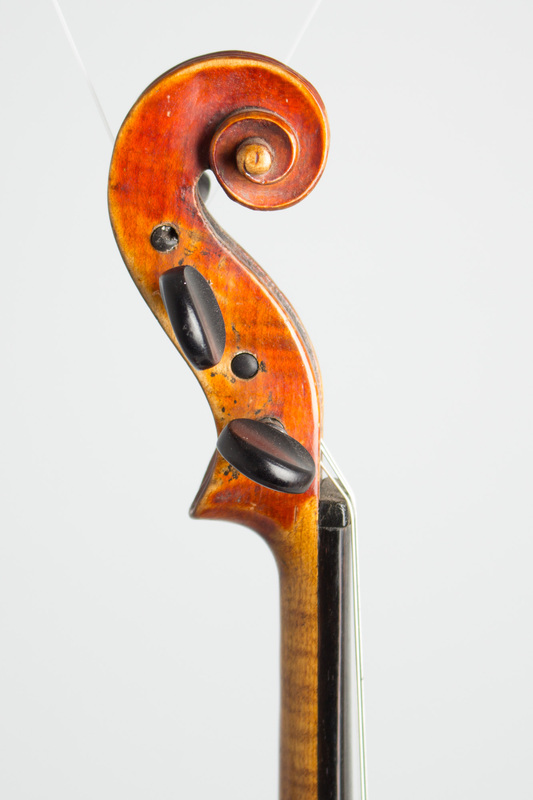 Jar Krumphans Praha Resophonic Violin, c. 1900, origin unknown, amber varnish finish, spruce top, maple back and sides, maple neck, ebony fingerboard, black hard shell case. 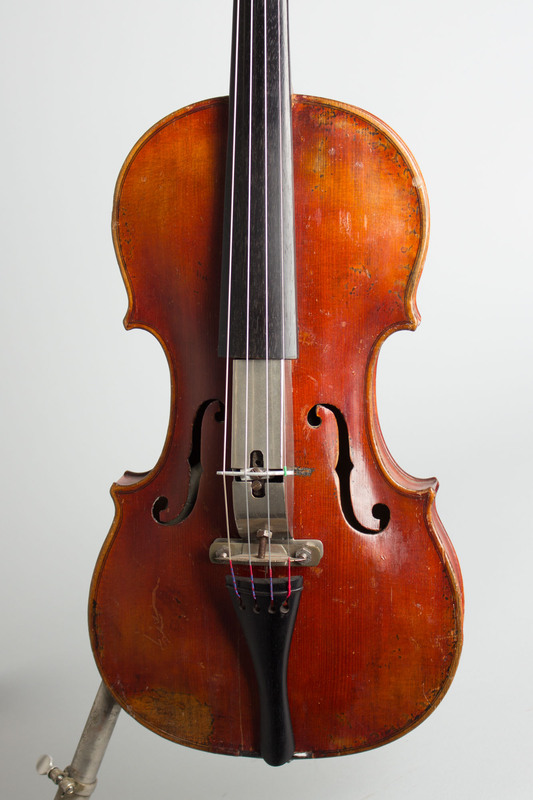 This is a less-seen example of a resophonic violin, usually atributed to the label "violinophone". 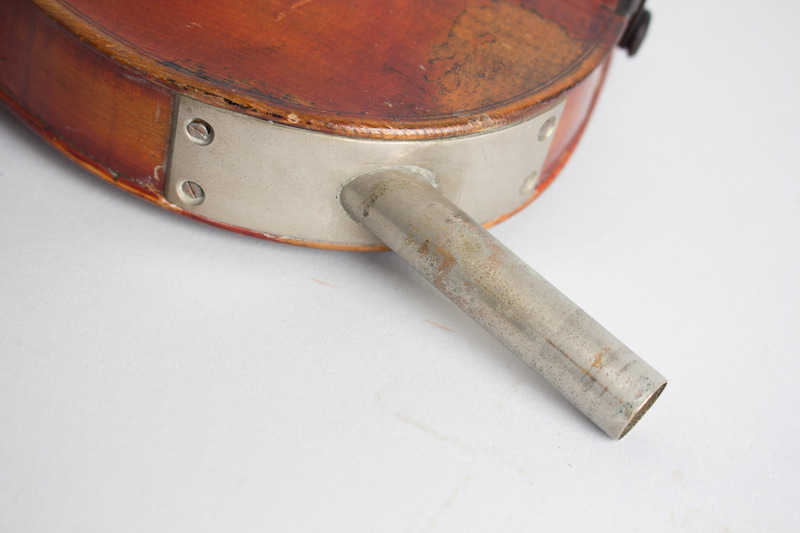 Instead of relying on a thin cone to amplify the sound, as the Stroh instruments do, this one uses a diaphragm mounted vertically under the bridge. 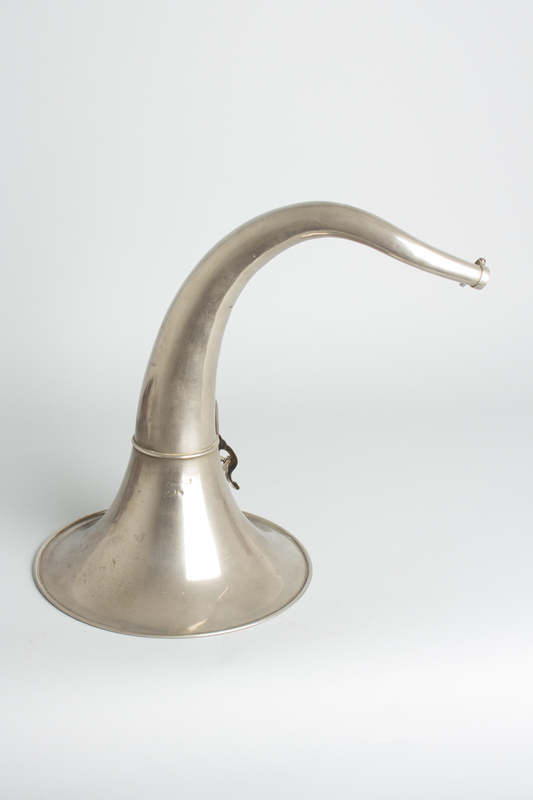 The sound is carried through a tube to the horn which rests around the shoulder to face forward. 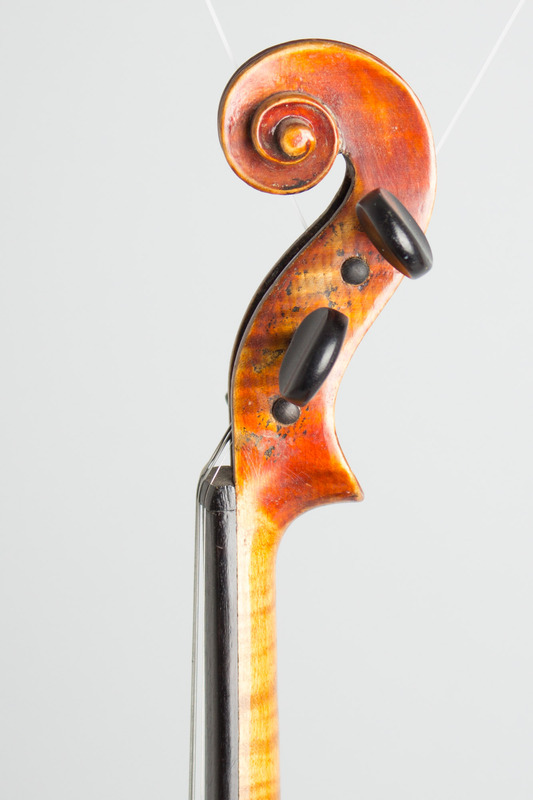 This instrument was built in Czechoslovakia in the early 20th century. 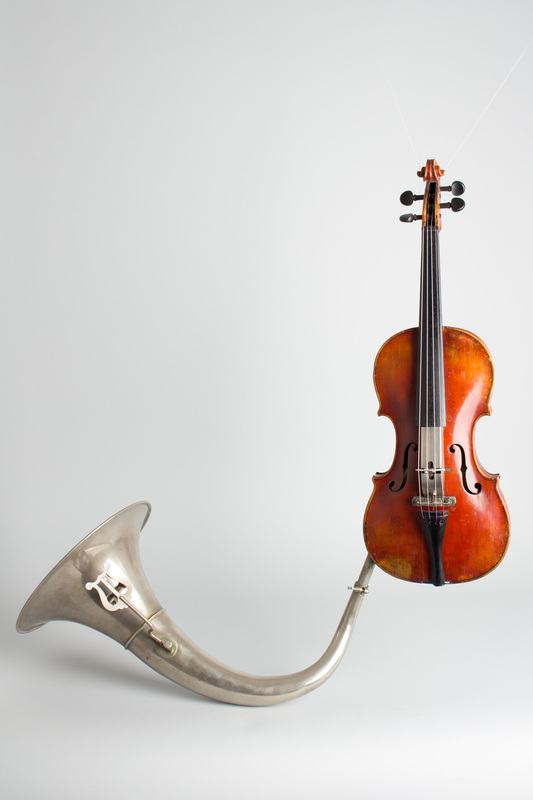 Phono or horned string instruments developed at the turn of the 20th century in the first instance to assist in sound recordings on to wax cylinders as a sharper sound was needed. As recording techniques improved, phono instruments enjoyed some popularity as novelty instruments. 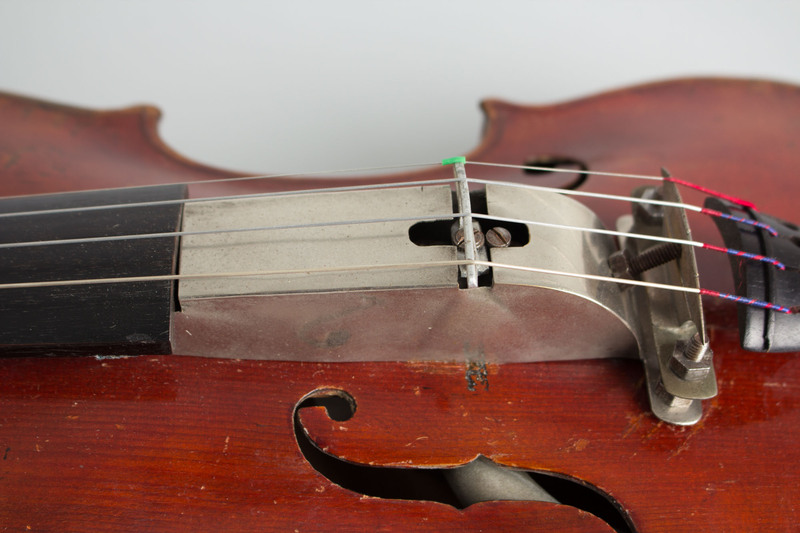 Many thousands of one-string phono fiddles were produced of varying quality. 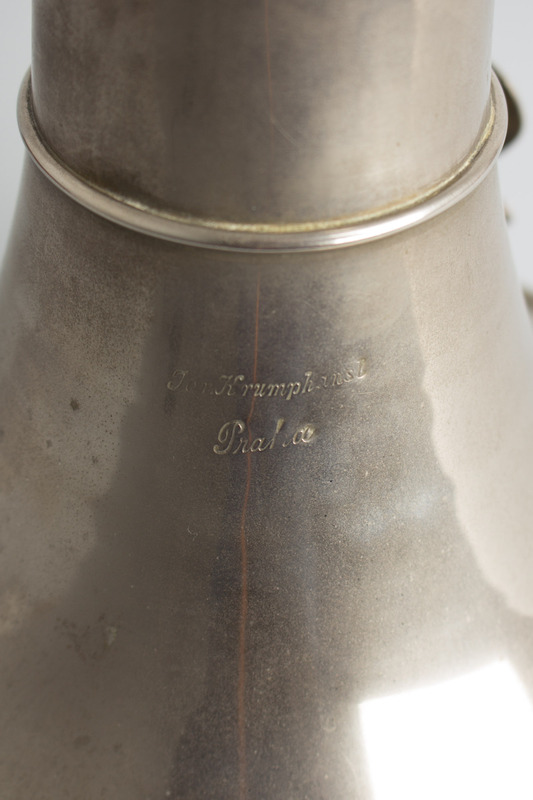 Augustus Stroh was the pioneer in the market and produced the more superior instruments with their patented diaphragm arrangement. 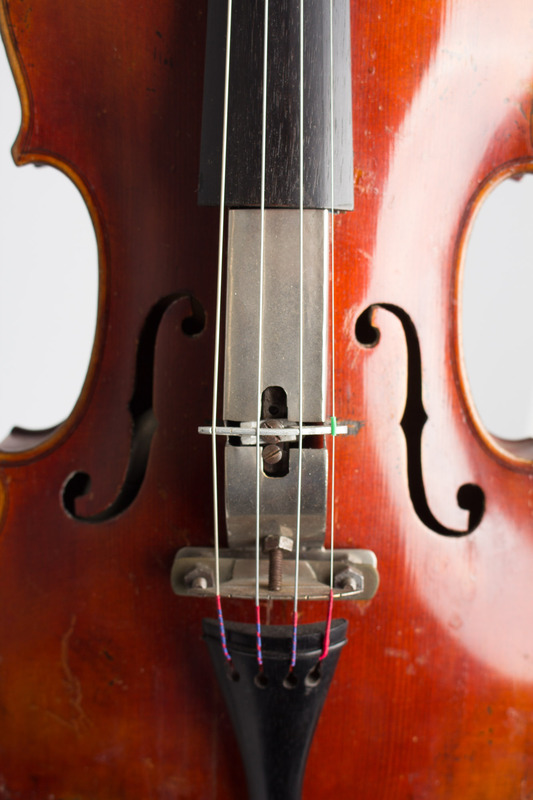 Violins, violas, cellos, basses, ukuleles, and guitars were made. 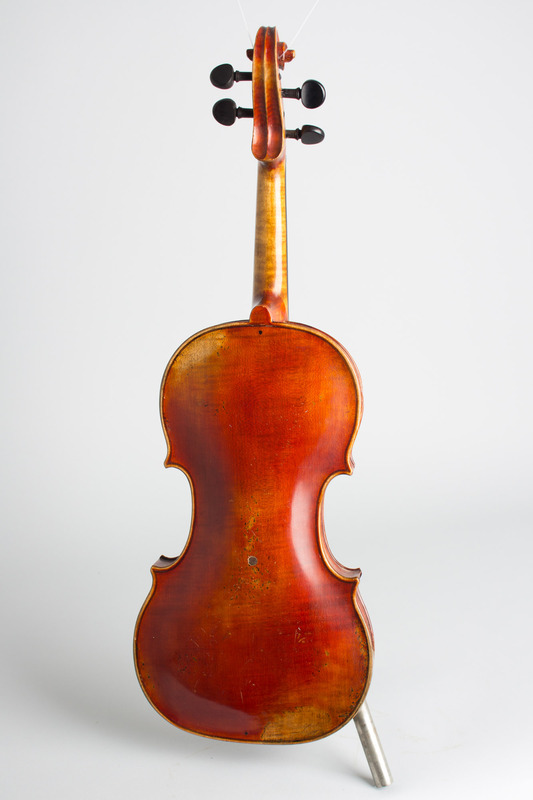 The 4-string violins are scarce, but other versions are extremely rare today. 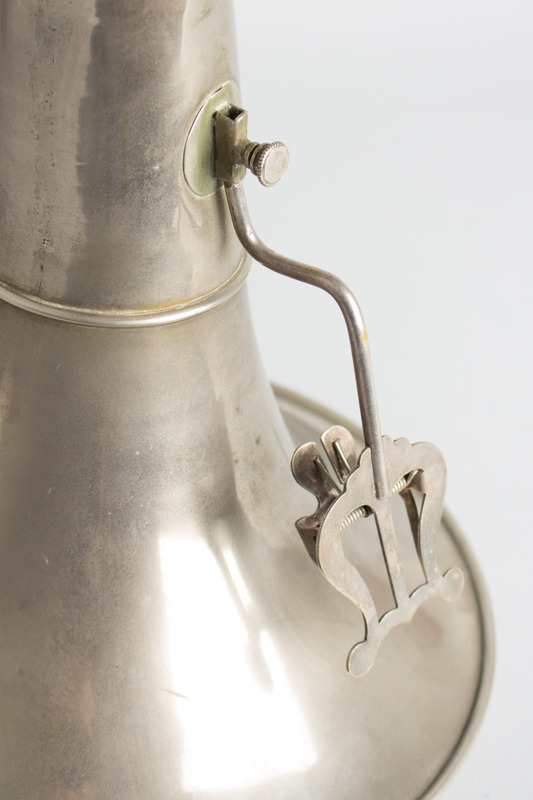 As wax cylinder players lost popularity to the development of the disc recordings by the 1920s, Stroh's production gradually slowed. There has been some revival of interest in recent years. Length is 23 in. (58.4 cm. ), 8 in. (20.3 cm.) width, and 2 1/4 in. 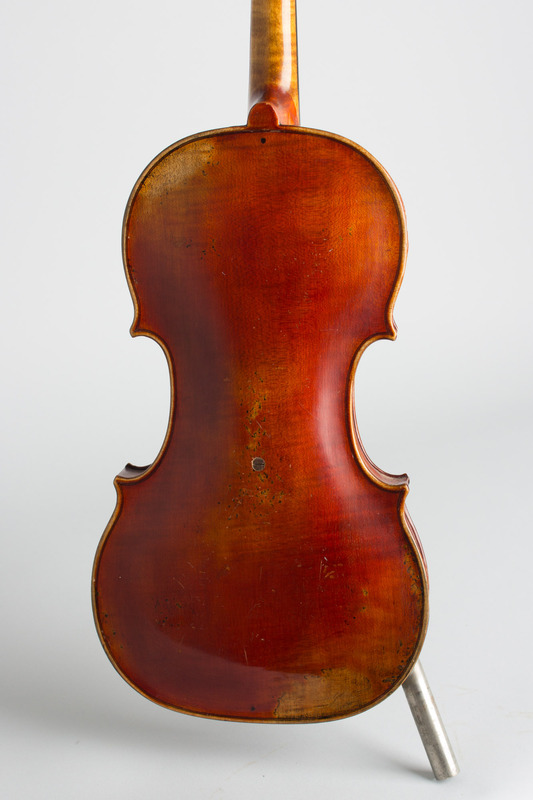 (5.7 cm.) deep. Scale length is 12 3/4 in. (324 mm.). Width of nut is 1 in. (25 mm.). Very Good + Condition.